With the release of The Hunger Games dvd this weekend, this "Friday Film Clip" is of author, Suzanne Collins discussing her literary influences and what she hopes readers get out of the series. With a new tv season about to start, I especially like her question to young adults about their relationship with reality tv vs. the their relationship with the news. 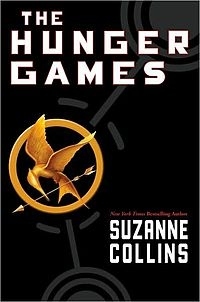 Although The Hunger Games trilogy is a work of fiction, it could be used to launch debates and writing assignments on the ethics of reality tv, politics, etc, thereby allowing teachers to incorporate the Common Core standards while capitalizing on the popularity of this series.